Larry started investing in real estate in 1990. In 1994 he got his Real Estate license and also became part owner of Century 21 AA Realty in Boise. He has was a part of Keller Williams Realty from 2003 until he moved to Trust Realty in 2007. He has experience working with buyers, sellers, investors and first time buyers. He also has a large amount of experience assisting out of state investors find quality rental properties in the Treasure Valley. 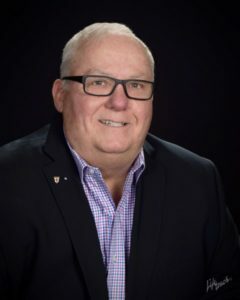 He has received multiple awards for his customer service including the Century 21 Quality Service Award for the Northwest Region in 1999 and 2000. Larry also owns AA Property Management can help in Property Management and HOA Management. Call Larry today …where INTEGRITY is more than just a word!